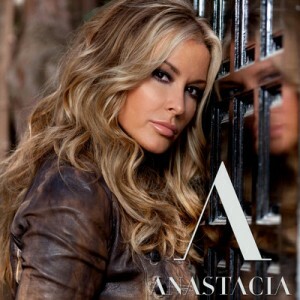 It’s seemingly been a while between drinks for feisty US urban/pop star Anastacia, but she’s been over in Europe collaborating with the likes of Belgian singer Natalia and Russia’s Dima Bilan. More recently, however, she’s been eyeing up the dancefloors of the globe, providing vocals on collaborations with DJs David Morales, Tony Moran and with Tiesto. It’s with the latter that she originally recorded this track last year. Containing elements of Aretha Franklin’s ‘Pride (A Deeper Love)’, the track found fame through a series of commercials aired across Europe promoting a new Skoda car (our favourite is THIS one). As such, the car is heavily featured throughout the clip as it skirts through the gorgeous Prague citiscape. ‘What Can We Do (Deeper Love)’ is now available at the local iTunes store. woah someone’s aged a bit! The Tiesto remix is amazing! I am glad she is back. The song’s quite good. Not like her older stuff but it is fun.